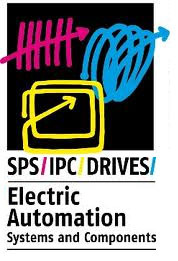 November 2013 - Visit Contemporary Controls at Stand 10-141 at the SPS/IPC/Drives show Nuremberg, Germany, November 26 - 28, 2013 to see our latest Ethernet communication and building automation control products. This year, SPS expects more than 1,500 exhibitors who will be showcasing the latest innovations in automation technologies. It is one of the largest shows of its kind in Europe. The exhibits encompass the entire automation controls market, from the individual components to complete system integration. "The SPS trade fair is a very important show for Contemporary Controls in Europe" said Paul French, EMEA Sales Manager of Contemporary Controls. "It provides us the opportunity to showcase our Ethernet, BACnet, ARCNET and CAN product solutions to a sizeable and informed audience." On display at SPS 2013 will be our new BAScloudVPN service providing secure communication over the Internet - thereby allowing systems integrators remote access to systems from the convenience of their home or office. Both wired and cellular access are possible using OpenVPN security. The BAScloudVPN solution makes it easy to access I/O points over a secure tunnel in the Internet with minimal impact to firewalls. Also on display from the company's BASautomation product line are BACnet routers, Modbus gateways to BACnet, Sedona Framework® and Niagara Framework® controllers that provide connectivity from the device to the Internet. Using a single Workbench tool, a complete BACnet system can be implemented by dragging and dropping components onto a wire sheet. Our Industrial automation solutions feature our CTRLink line of managed and unmanaged Ethernet switches, IP wired and wireless routers, Power over Ethernet splitters and injectors, and examples of our custom Ethernet solutions used in high-stress applications. For simple systems, Skorpion 5- to 16-port plug-and-play Ethernet switches meet the need. These products will operate "right out of the box" and can be put into service without adjustments. More demanding applications require 8- to 24-port managed switches that support the SNMP protocol. CTRLink managed switches provide a host of features such as VLANs to segment traffic within a single physical network, several Quality of Service (QoS) methods to prioritize traffic, port security to guard against intrusions, port mirroring for troubleshooting, and a programmable fault-relay that can be tied to a host controller for alarming. Skorpion IP routers connect two Internet Protocol (IP) networks together - passing appropriate traffic while blocking all other traffic using either a wired or wireless connection. By installing the appropriate USB adapter, a Wi-Fi LAN connection can be made, or in the case of a cellular adapter, a WAN connection to a cellular provider can be made. Our new PCI Express card allows legacy ARCNET systems to operate with modern workstations. Our ARCNET servers allow for the migration of ARCNET systems over to Ethernet. Whatever your connectivity needs, visit us to explore solutions.